In order for Noah’s Ark Day-care Centre to allow even the very smallest amongst them to play, we extended their playground equipment with a new sandpit, play tower and a bird's nest swing. 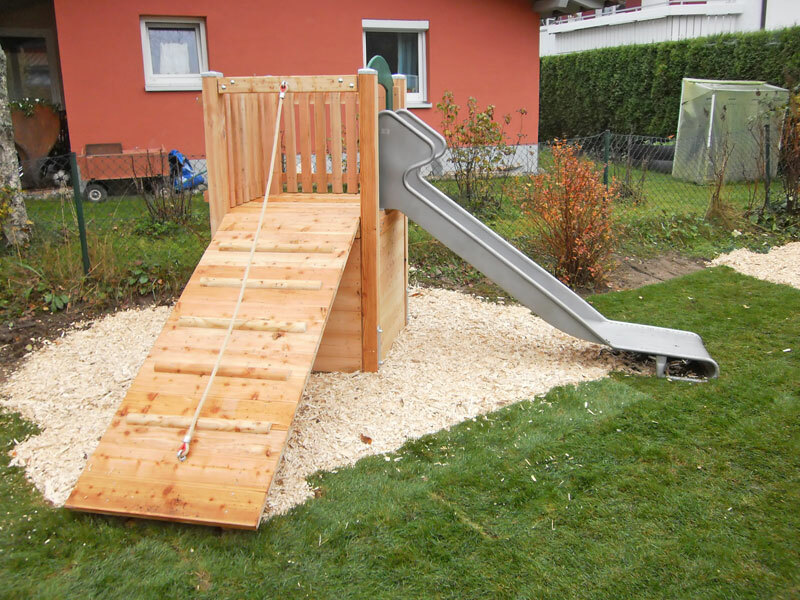 Constructed from untreated larch timber the play tower offered not only perfect hiding place in the lower areas, but also a mountaineer's ramp and a children's slide. The bird's nest swing is safely hung between colourfully painted steel beams and offers the chance for several children to swing together.